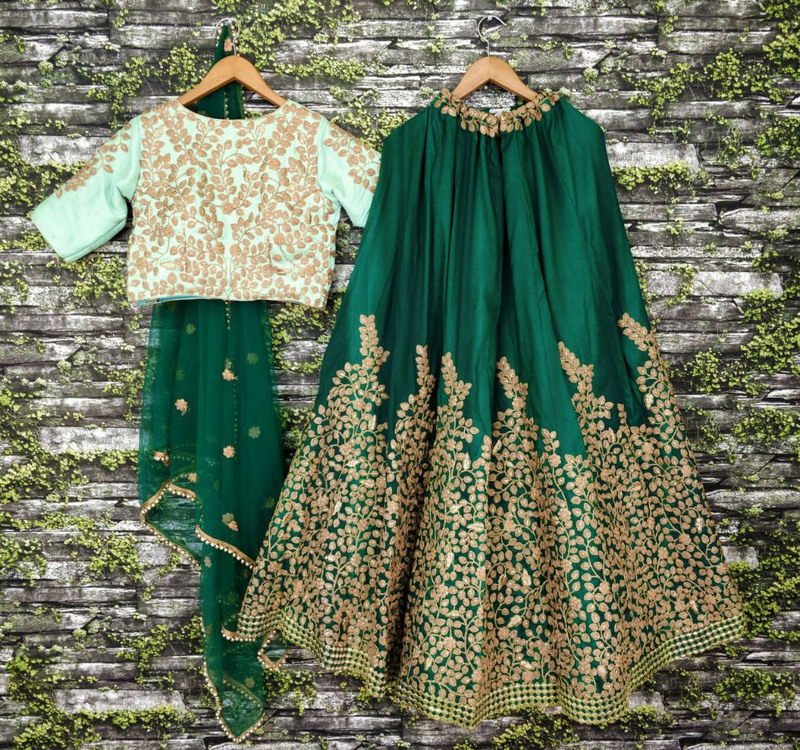 You are bound to make a powerful fashion statement with this refreshing green colored designer pure silk lehenga choli. The ethnic embroidered lace resham and zari work within the apparel adds a sign of beauty statement with a look. 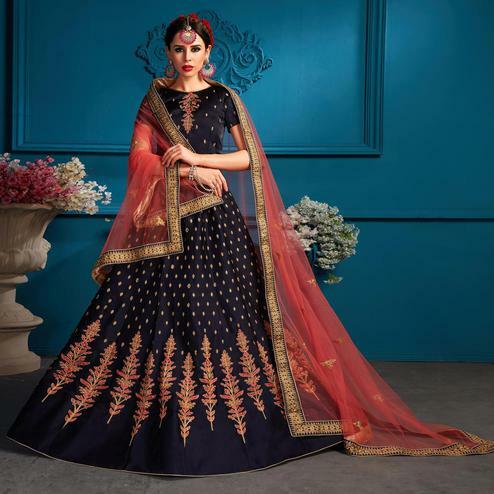 Available with pure silk choli fabric along with satin and can-can netted inner and netted dupatta with butta work. Perfect for traditional functions festivals wedding functions or engagement ceremonies. Pair it up with classy accessories and heels to make your look more attractive. Get this dress now before it's gone out of stock.